Explore Amsterdam’s cutting-edge art and culture on a 4-hour walking tour with a local guide, and get an insider’s look at life in the city. 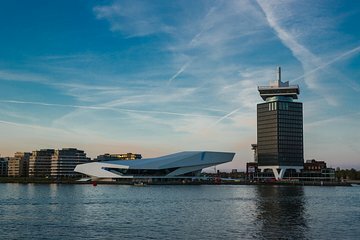 See the highlights of modern Dutch architecture, and visit a creative neighborhood that was transformed by urban renewal. Enjoy views of the city from the water on two shore ferry rides as you visit the former harbor and tour the renowned EYE building, a modernist landmark. Finish your tour with local tips on the best places to eat, drink and visit in Amsterdam.